It is absolutely time to panic about climate change. It is worse, much worse, than you think. If your anxiety about global warming is dominated by fears of sea-level rise, you are barely scratching the surface of what terrors are possible... 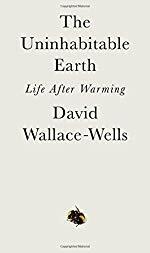 Without a revolution in how billions of humans conduct their lives, parts of the Earth could become close to uninhabitable, and other parts horrifically inhospitable, as soon as the end of this century.